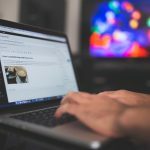 If you want to create an engaging and dynamic view of any building or landscape, you should know that many WordPress plugins help with this interactive functionality of your site. WordPress 360-degree panorama plugins allow you to show a rotating view of the property you sell. Also, it will enable your customer to navigate through the image with a full 360° spin view and enjoy an immersive online experience. 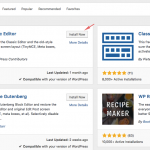 These plugins are easy to implement in your WP built site. With just a shortcode you can add the 360-degree view on your pages, posts, widgets. 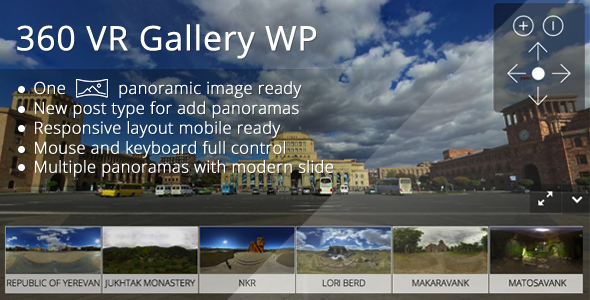 The list below gathers some of the best of WordPress panorama view plugins. 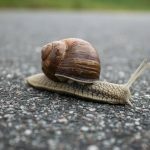 360° Flat Panoramic Viewer brings life to static panorama photography and creates an engaging viewing experience in WordPress. This plugin allows a 360° right and left rotation and provides extra performance as it facilitates hot spots by linking a map element to the image. Furthermore, there is no any additional configuration required for this functionality. This plugin doesn’t need any coding expertise as it comes with a shortcode generator in the TinyMCE editor toolbar. You can add the shortcode on any page, post, widget, have it placed multiple times on a specific page without any problem. When purchasing the plugin, you also have access to technical support for the more advanced features. 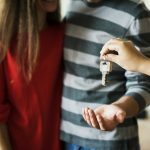 The package also includes full documentation with useful step by step instructions to set it up and get it running on your website. If you are looking for a plugin that performs well on mobiles and tablets, 360° Panoramic Viewer is fully optimized for use on all portable devices. It can also integrate a lightbox solution that adds realistic zoom functionality if you want your panorama to be zoomed in. The 360 VR Gallery plugin displays 360 degrees panoramic view directly in the browser. It is optimized to be mobile responsive and works well on all devices and browsers. They tested the script on all Android and iOS devices. The significant advantage is that you can use a single 360×180 panoramic photo for making a rotating view. Same for the 360° Flat Panoramic Viewer you don’t need programming expertise for creating the panorama. 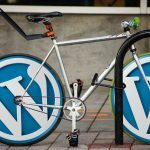 The plugin can be easily installed on your WordPress website and paste the shortcode directly into any post or page. This fully customizable WordPress plugin helps you create engaging scenes by providing a predefined template. In just one step the plugin creates a simple 360-180 degree view with a single image. The plugin works well with Photo Sphere Viewer allowing top performances on the latest browsers and supports cubic panoramas. 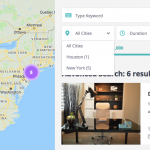 Easy Panorama is an open-source WordPress plugin for websites that enables the display of panorama view in a very accessible way. The user enjoys the panoramic view by scrolling it on the x-axis or moving his mobile device. Same as the other three above, the plugin comes with an easy to use a shortcode that you can add to your website directly. 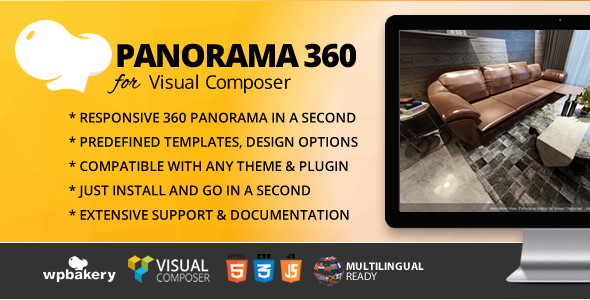 With just three clicks you can create your panorama and embed it to your site. Can be customized from Panorama Settings page. 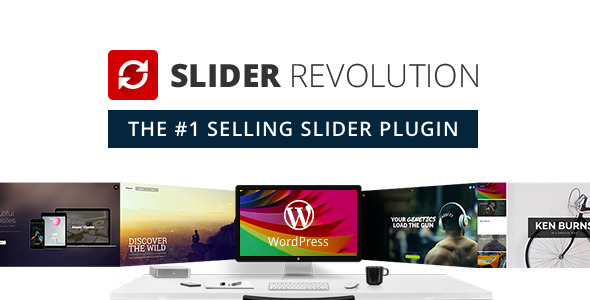 You can create a panoramic slider of a featured property with Slider Revolution which is the number one responsive WordPress slider plugin. 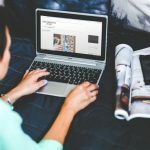 This plugin has a full functionality meaning you can create a slider gallery, a carousel, a hero page and even a whole front page with the drag & drop editor. 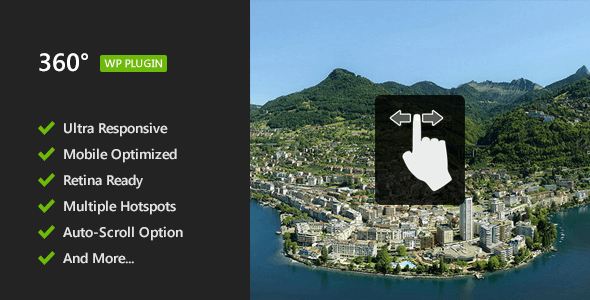 To create an engaging panoramic slider once you installed this plugin edit the Panorama defaults in the Rev Slider settings: you can hover your mouse over each option for extra info. 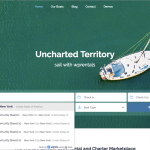 Upload your panoramic images that should have a recommended size of 4096×2048. This is to ensure an equilibrium between loading speed and quality. Configure the Panorama Settings by selecting the Add-ons tab from Slide Settings, and choose the settings to use for the Panorama. You can choose from different options available to set the navigation and enable zoom to navigate in and out by scrolling. Free Add-ons and full documentation here.